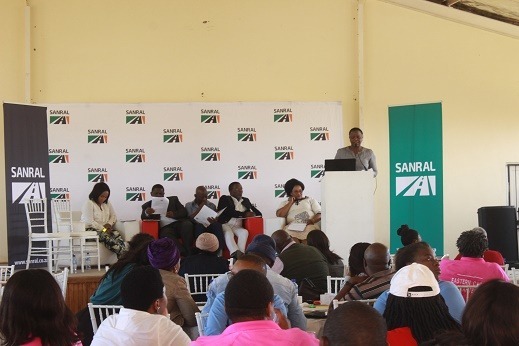 The South African National Roads Agency (SOC) Ltd (SANRAL) engaged stakeholders in the Amathole District Municipalities on the current and upcoming projects in the area and highlighted the roads agency’s mission to transform the construction industry to be more inclusive. The roads agency has over 160 projects lined up in various parts of the Eastern Cape province for the next three financial years (18/19, 19/20 & 2021). Some are in the planning phase, some in the design stage and some in the construction stage. The local, provincial and national spheres of government; business fraternity; Traditional Leaders and taxi operators and owners; emerging contractors and other key stakeholders that are affected by SANRAL projects, were provided a status update on more than 20 current and upcoming projects in Amathole District. These comprise projects in construction, routine road maintenance, projects in the design phase and projects in the planning phase. The meeting was SANRAL’s flagship stakeholder engagement programme, Taking SANRAL to the People, held in Ndabakazi village outside Butterworth. Around 180 stakeholders were in attendance at the TRC Hall in Ndabakazi on Friday, 23 November 2018. Friday also included a visit to Ndabankulu Senior Secondary School in Ndabakazi to announce that SANRAL made a commitment to donate computers to the school next year. SANRAL promoted its road safety awareness campaign at a check-up point at the Ndabakazi junction, in partnership with traffic officials. “The platform was also utilised to deliberate on salient issues affecting SANRAL service delivery in the area. It is also important for people to know that SANRAL is not just about building roads, we also support corporate social investment projects and provide skills training,” said Welekazi Ndika, SANRAL Southern Region Communications and Stakeholder Coordinator. Ndika explained the purpose of SANRAL’s Transformation Policy was to ensure inclusive participation of black South Africans in the opportunities generated by SANRAL’s annual spend in the construction and related industries. R67: Makanda (Grahamstown) to Fort Beaufort: The project is expected to be completed in May 2019. 16 SMMEs have thus far been sub-contracted and 332 job opportunities created. Labourers were employed from Fort Beaufort and Makanda. Training was provided to 360 people. R226,8-million has been spent on SMMEs thus far. Toleni to Ibika: The project will improve road safety, ensure good quality community access roads and the ability to enter the N2 safer. The project completion date is March 2019. The project value is R160-million. Training was provided to 435 individuals (24 SMMEs). Between February and October 1057 jobs were created. R48-million has been spent on SMMEs. Stutterheim to KM 32: The project is in the construction phase. It commenced in January 2018 and is anticipated to be completed in mid-2019. The project value is R140-million. The project is running behind schedule, owing to recent service delivery protests in Amahlathi Local Municipality. There were 25 SMMEs trained. 50% of the contract value is going to benefit the community. 32 SMMEs have been subcontracted and 175 jobs created. The project is giving an opportunity to the military veterans and people with disabilities to participate. 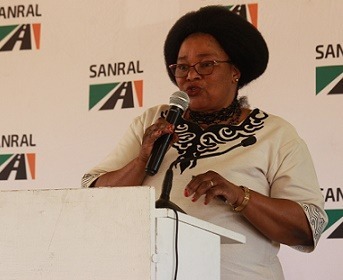 Amathole District Municipality Executive Mayor, Councillor Nomfusi Nxawe, said they appreciated the engagement and “witnessed that these types of engagements are what the community longs for. To stakeholders, the ball is in your court”. “SANRAL has outlined all projects planned for the district. I am glad about the Alice to Fort Beaufort project as this road has brought about many fatalities. I also want to urge all stakeholders to present a united front and not fight amongst each other, particularly emerging contactors, if you do not do so, that will be at your own peril. I’m also impressed with the issues that were raised on this platform today because it shows seriousness in the community of this district, particularly because you also sacrificed Black Friday specials to take part in this engagement,” Nxawe said.